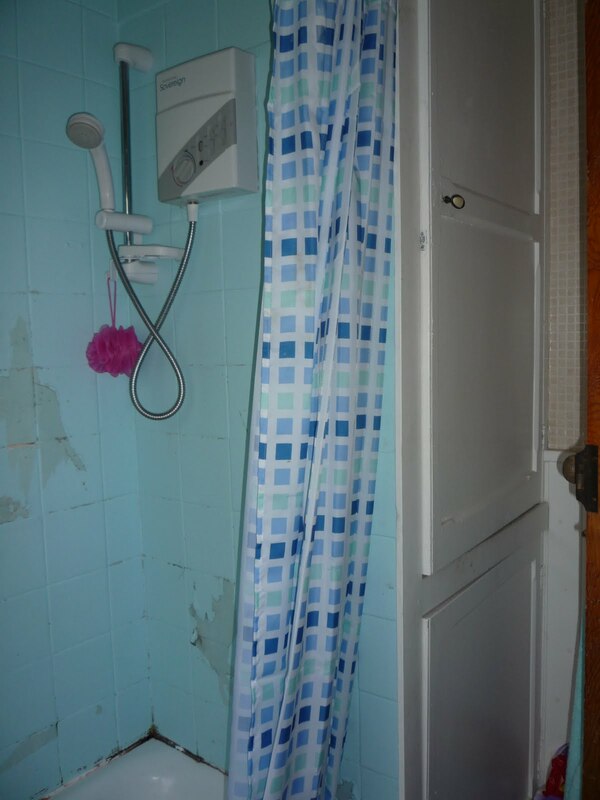 Way back in March I finally decided to have my bathroom updated and asked Stuart my trusty builder to start work on knocking the whole thing out. 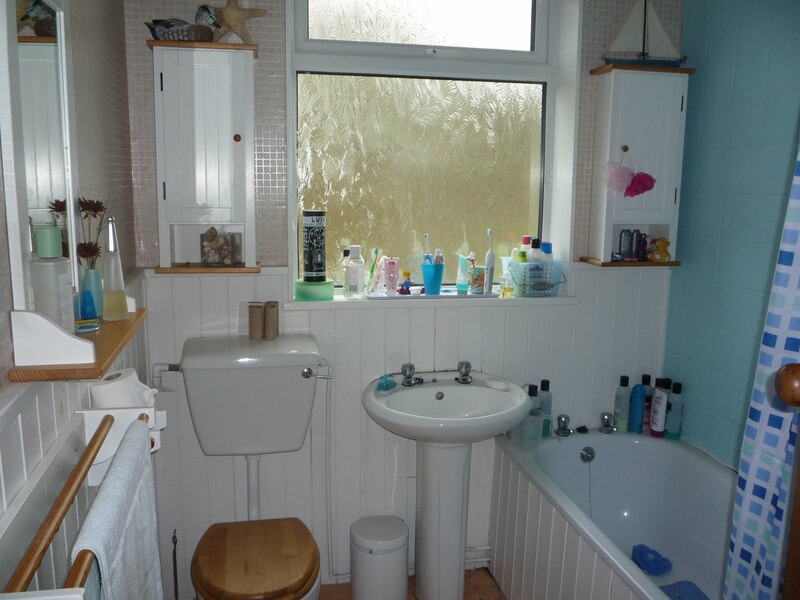 This has been a long-time wish as the old bathroom was so tatty and hard to keep clean. 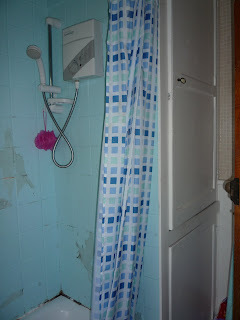 The seal around the bath had rotted and left a black mess that couldn't be cleaned; over the years I'd painted the tiles twice but they'd started to peel and looked awful; the airing cupboard door didn't close properly and the sink, toilet and bath all leaked. Basically it was a mess, and not the sort of place you would want to begin and end each day in. Anyway, I thought you might like a peak at the new place. 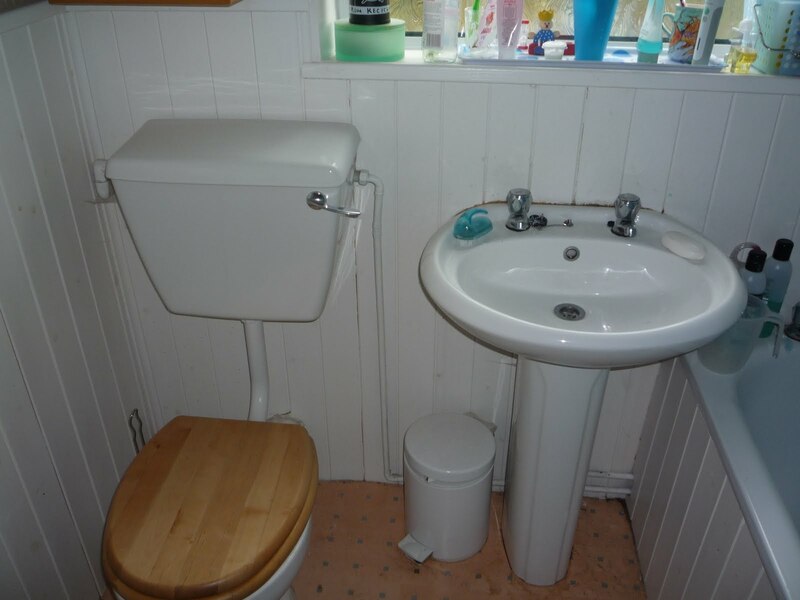 Okay but first you have to see the 'before' pictures. 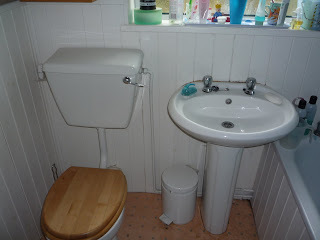 As you can see aswell as being grotty it was also very untidy. 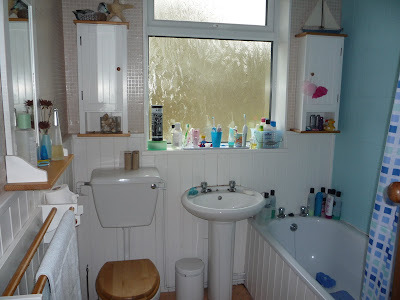 The new bathroom is ~ so far ~ still tidy, but one month on I still haven't managed to buy a suitable bathroom cabinet or shelving so as a result it still looks a bit bare. The boiler was old and the cold water tank even older so I decided it was a good investment to have a new combi-boiler installed.The airing cupboard is much better with more space for shelves now that the old hot water tank has gone. I think you can see what a difference there is, and we really love it. Now, I wonder how long it'll take me to save for a new kitchen......?